PBR Will Live On for ‘Many, Many Years’Pabst is back, baby. 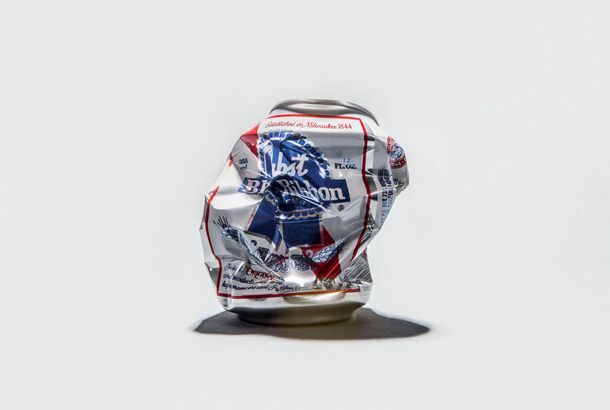 Can Anyone Save PBR?The beer that conquered Brooklyn is on the brink of extinction. New Bud Light Orange Perfect for Days When You Want Beer That Tastes Like TangOnly available for the summer! Dogfish Head Will Finally Release Beer in CansThe craft brewer will unveil canned 60 Minute IPA later this month. Brooklyn Brewery’s Oyster SasionIt’s brewed with whole bivalves and debuting at this year’s Billion Oyster Party, on May 19. Super-Chill Lawmakers Decriminalize Public Drinking in ManhattanJust in time for spring! Someone Finally Combined IPA and Cold Brew to Make the Ultimate Breakfast DrinkRogue’s latest collaboration is with Stumptown. Well-Intentioned Waitress Cards Marco Rubio Because He Looks Too Young to DrinkShe had no idea who he was. A Major Craft Brewery Was Just Bought for $1 BillionThe company that brews Corona and Pacifico just picked up the revered Ballast Point Brewing Company. SABMiller Is Just Not That Into A-B InBev’s $104 Billion Merger OfferIt was the third attempt by Anheuser-Busch InBev to buy its rival. World’s Largest Brewer Wants to Merge With World’s Other LargestAnheuser-Busch InBev wants to merge with SABMiller to create the world’s largest brewing company with what will likely also be the world’s most complicated name. Barclays Center Will Host Its First-Ever Beer FestivalTickets for the October event go on sale today. Is New York in Danger of Losing Its Most Interesting Beer Boutiques?Why the retail side of selling unique, small-batch beer remains surprisingly difficult, even at a time when interest in craft beer is at an all-time high. Corona Is So Popular That Its Brewer Is Actually Afraid of Running OutAnd here you thought it was just a so-so beer you drank at the pool. America’s Breweries Dangerously Close to Running Out of Funny Names forOne brewery went through 400 different name options for a new beer before finding something that wasn’t already taken. Bud Light Announces ‘MixxTails’ to the Delight of Frat BrosUnfortunately, it’s not available in shot form — yet. Anheuser-Busch Actually Owns a Brewery That Makes ‘Pumpkin PeachBudweiser’s controversial Super Bowl ad was incredibly lame. Brewery Apologizes for Putting Gandhi on Its Beer LabelsNew England Brewing Company’s says its “fully vegetarian” IPA is an homage. Bodega Owners Say a Distributor Merger Will Be Awful for the City’s GoodIt would reportedly give one company 80 percent of sales. Someone’s Finally Brewing Sriracha BeerIt arrives next month. Budweiser Nixed Its Awesome Clydesdales in Favor of Whiny Millennials This YearThey wear flannels, trucker hats, non-prescription glasses, ironic t-shirts, and coincidentally have never really tried the beer brand. Get Ready for Scrapple-Flavored BeerDogfish Head is offering reckless drinkers a draft-only stout made with pork mush. This Hops Machine Makes Crappy Beer Taste AwesomeCraft brewers should maybe be afraid. An NFL Stadium Got Caught Watering Down Its BeerBud Light is now that much closer to water for Seahawks fans. Anheuser-Busch Will Launch a Tequila-Flavored BeerOculto doesn’t contain any actual tequila, which is the real spooky thing. Empire Brewing’s Response to Lucasfilm’s Trademark Claim IsThe short video addressed to the ‘Star Wars’ maker is nothing short of a blockbuster. America’s Beloved PBR Will Be Sold to Russian Brewers“America’s Best in 1893” gets foreign owners in 2014. Owner of PBR in Talks to Sell Company for Almost $1 BillionNearly four times what it sold for in 2010. Small Town Isn’t So Sure It Wants to Host Giant Party for 1,000 Bud LightThey certainly don’t want the beer company to paint all of its lampposts electric blue. Pabst Will Put Ballantine Pale Ale Back Into ProductionThe beer-maker is hoping it has the next great hipster beer on its hands. This Guy Has the Ability to Pour Beer With His HeadTalk about really useful superpowers. Someone Stole 300,000 Liters of Beer in GermanyThe evidence is likely long gone. Makers of Natural Light Move to Block Craft Brewer’s ‘NattyIt’s Natty vs. Natty in North Carolina. Germany Plans to Pay Street-Cleaning Alcoholics With BeerIt comes with a shot of addiction counseling, on the bright side. Beijing’s Foul Air-Pollution Problem Gets Its Own Signature BeerAs the air quality index worsens, pints get cheaper. Nudist Beer Festival Headed to the Poconos“Some of the finest local and imported breweries” will be represented.